NIST 17 Mass Spectral Library - NEW 2017 release - world's most widely trusted mass spectral library. Nearly 1 million high quality spectra with chemical information: Increased coverage and quality since 2014: Nearly 3x increase in MS/MS spectra, 30,000+ new EI spectra, and 16,000+ more compounds with GC & retention indices. 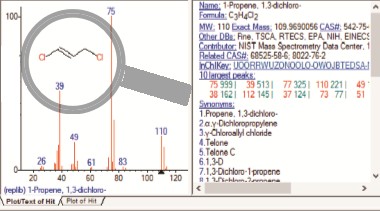 Search software to match your spectra against spectral libraries: Improved software (v. 2.3) with new search methods and algorithms, such as our new "hybrid" search type for MS/MS and EI. Shipping June 13 - Pre-order today.